Palestinian Authority President Mahmoud Abbas has voiced interest in a tripartite confederation with Jordan and Israel, in what would appear a dramatic departure from his longstanding insistence on a two-state solution, according to Israeli peace activists and a Palestinian official. 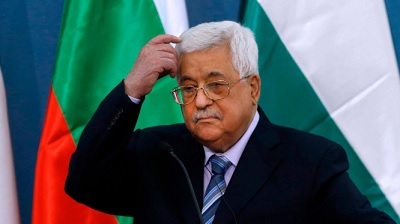 “‘I said [to Kushner and Greenblatt]: Yes, I want a three-way confederation with Jordan and Israel.’ I asked them if the Israelis would agree to such a proposal,” a statement by Peace Now quoted Abbas as saying. Abbas, 83, reportedly described US President Donald Trump and his Middle East peace envoys as “hostile” to the Palestinian people, citing Washington’s decision to dramatically cut aid. But Abbas said Trump had assured him of his support for a two-state solution. Abbas said he himself was in favor of a demilitarized Palestinian state with NATO securing the agreement, according to Peace Now.